Donald Hume: Chequebook journalism that would be worth millions today saw Hume, a black marketeer and dodgy car dealer, admitting to a gruesome murder after twice being acquitted. He spent 17 years in Broadmoor? And was born in Swanage. This Tuesday 21st Nov and ASBO was issued to Scott Green aged 24 of Holmes Rd following 9 years of crime and anti-social behaviour committed by him in Swanage. The ASBO lasts for 5 years and his prohibitions include an exclusion zone in part of the town centre and his neighbourhood. He is allowed to transit the exclusion zone in his neighbourhood to get home. He cannot enter any premises from which he has been barred which now includes most pubs in the town. He cannot consume alcohol in any public place in Dorset except licensed premises. 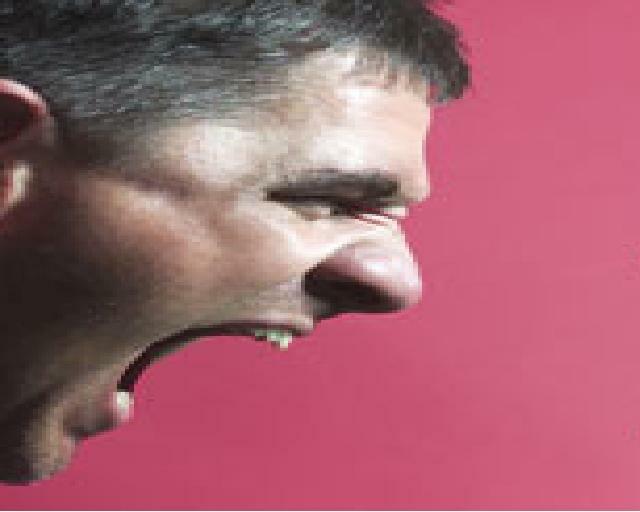 He also cannot inflict harassment alarm or distress on any person in Dorset. That is briefly it and a leaflet drop will be made within the next couple of weeks. A press release is also planned by PDC. I disagree that ASBO's do not work. PDC with the police have been involved in this process for almost 5 years now and have experienced total success with all our ASBO's. Unfortunately, much of what is written in the press is by people with axes to grind about ASBO's or those where politics plays a role. That is not to say that all ASBO's nationally are successful but invariably those that fail are due to poor enforcement or simply poor ASBO's. In this area ASBO's are enforced rigorously as will Scott Green's. He has had ample opportunity to address is disgraceful behaviour over the years but chose not to do so. He now faces the consequences. The numerous victims he has left in his wake are pleased that this is now the case. Want a say in Swanage? Does anyone have any idea what percentage of our Council Tax goes towards Purbeck D.C. employees pension funds. If you've got any snippets of information or news about the Arts in Swanage and Purbeck, please feel free to post a comment there. We'd also like to see reviews of shows and events and notices of anything interesting coming up. For those of you who are not members of the SWANAGE RESIDENTS ASSOCIATION who, as a result do not receive a copy of “THE SWANAGE INDEPENDENT Newsletter” be advised that there is an OPEN meeting on MONDAY 20th at 7-30 pm at the MOWLEM Committee Room. SANDBANKS Ferry will not be back in service on Monday as planned but, weather and sea conditions permitting, should be running again by the end of next week. This is something really special. REGHU NADHAN will be giving a Kathakali dance demonstration. 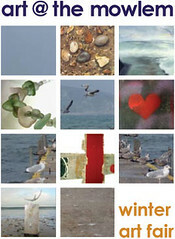 The session will he held at the Catholic Church Hall, Rempston Road, Swanage Saturday 18th Nov, starting at 7.30pm. there will be a charge of £3.50 for this event but will be a complimentary glass of wine. The Rumour Mill - don' ya just luv it? Dorset County Council are considering dredging our boundary rivers - and if necessary importing water - to make us a real island. Then they're going to rename us The Isle of White. THIEVES have stolen money destined for breast cancer and homeless charities from a Christian bookshop in Swanage.The burglary happened some time between closing time on Saturday November 4, and Monday morning at the Swanage Christian Centre on Commercial Road.A portable safe was taken from the upstairs bookshop, containing money destined for various good causes. It has been heart-breaking for staff.If you have any information, call the Police on 01202 222222." 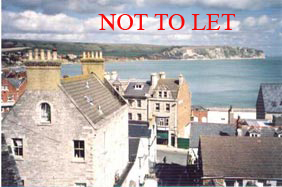 Second home/flat owners are blamed for many of the problems faced by some Swanage folk. It seems to me a great pity that many of these absentee landlords are precluded from letting their accommodation to holiday makers because of strict terms outlawing sub letting in their leases. Should such clauses be outlawed? On the eleventh of November, eleven+ Purbeck artists are bringing something bright and new to The Mowlem on Swanage seafront. Purbeck has a long history of art, craft and design, and the eleven+ event brings a selection of affordable art to the centre of Swanage. This exciting one-day fair includes food and refreshments, children’s activities and a fantastic sea view. Open from 11.30am to 8.30pm, including wine and music in the evening. As the areas newest art fair, eleven+ includes work from Sarah Wootton, Tony Viney, Peter Boyce Tomkins, Antonia Phillips, Aline Johnson, Richard Jeffery, Heather Gibbons, Nina Camplin, Chris Burke, Carlotta Barrow, Mary Baker and Paul Angel. if, like us, you want to see the mowlem in regular use as an art venue, please come along and support this event! so 5 ministers probed in cash for honours row, ummmm did I get that from tory central office? no I dont think so comments please on a postage stamp! if you decide to post the above comment could you post this on the same thread. Police widen the loans for peerages investigation to include all parties. By all I assume they mean Con, Lib, Lab. Should the Government use taxes to fight the threat of climate change? Should the government reconsider membership of the Euro? As the holidays begin with their extra significance for practising Christians, Jews and Sikhs, Francis Maude, Chairman of the Conservative Party, has sent a message to the country. He expressed his "good wishes and that of the Conservative Party for peaceful and happy celebrations to all of our citizens who are celebrating the great festivals of Easter, Pesach and Vaisakhi." That does come from the consevative cental office. Bob Green asks in this weeks Advertiser "why there is no marina or even a call for it in Swanage"? The computerised picture of the new block of flats, to be known as ‘Gannett’s Park’ (see Advertiser page 23 Corben & Son) are quite striking in their design, being totally different from any of the surrounding properties, yet in a very conspicuous location. Which begs the question, why there has been such bias against the designs put forward for the Pierhead, a much less prominent location, but agreeably more important ? Gannetts Park will be completed during the time the planners are nit picking over what most thought to be an excellent design for the Pierhead.